In Week 2 we are focusing on PURGING TOXINS, chemicals and heavy metals. 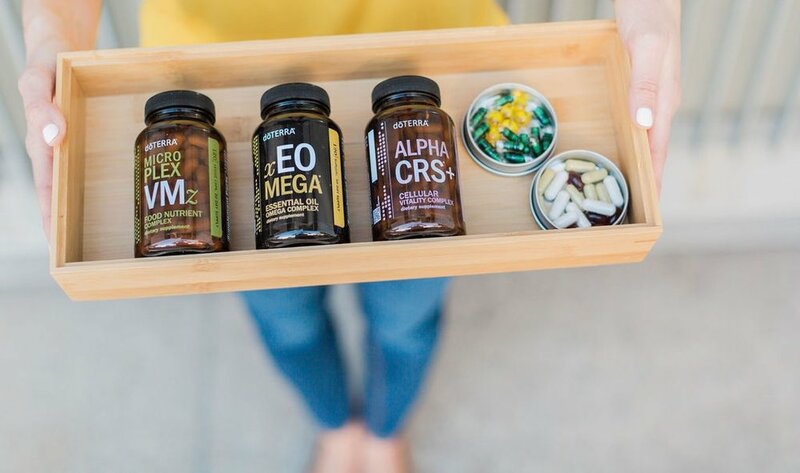 You'll want to bring in Zendocrine Softgels and the Zendocrine Complex this week to support your body through this elimination. 1. Zendocrine COMPLEX: This supplement supports your filtering organs throughout the detox. For some, supporting filtering organs *may be* important to do even after you wrap up your detox. I personally notice a BIG difference in my complexion with the Zendocrine Complex. Your toxins have to exit the body one way or another. We have organs that are specifcally designed to help us get rid of this stuff: your skin, lungs, digestive tract, kidneys and liver. The Zendocrine Complex is such a great product because it's an herbal blend that support the drainage for ALL these organs! I just LOVE THAT! Take 1 in the morning and 1 in the evening. 2. Zendocrine Softgel: This softgel helps eliminate chemical and heavy metal build up in the body with a proprietary blend of Tangerine, Rosemary, Geranium, Juniper Berry, and Cilantro essential oils. Zendocrine helps cleanse the body of toxins and free radicals that can slow the body’s systems down, leaving a heavy, weighted feeling. This powerful blend combines Rosemary, Cilantro, and Juniper Berry, known for their ability to support the body’s detoxifying organs, including the liver and kidneys; while Tangerine and Geranium have purifying effects against unwanted substances in the body. 3. You'll want to keep up with your Life Long Vitality pack, DDR Prime, TerraZyme and drinking citrus essential oils this week. Remember to drink LOTS of water as we step up our detox this week. Week 2 Intention: PURGE toxic energies and emotions. What are you ready to release this week? What stagnant energies and old belief systems are you ready to let go of and what is the new energy and beliefs you are ready to bring into your heart? This week I'm focusing on releasing the belief that things are "hard." I'm choosing to bring in more ease. Success flows to me with ease and joy. What will you bring in more of this week? May your week be full of nourishment.